Adult colouring books are now widely available. 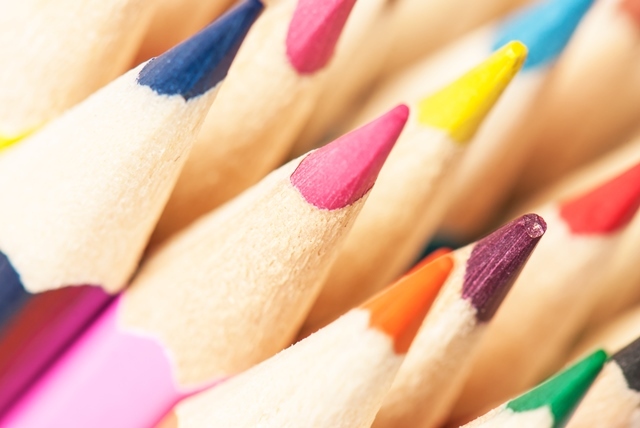 Get into the chill zone as you allow yourself to get lost in colouring. Journaling – write down stuff, with your pen into a physical notebook rather than computer. It could be a poem, a list of things you feel grateful for or just a plain old rant if you are feeling frustrated. Let it be your book that you can write whatever you feel like in it. Painting, drawing or sketching, if you are not too confident join a class or learn about it from a book or online. The important thing to remember if you are not joining a class is to make the commitment to yourself to put time aside for it. Make it a part of your routine. Gardening is also creative and gives a sense of achievement when your seeds or plants grow. Nature Photography Walk – look at things through the eyes of a child again. Take photos of things you see. 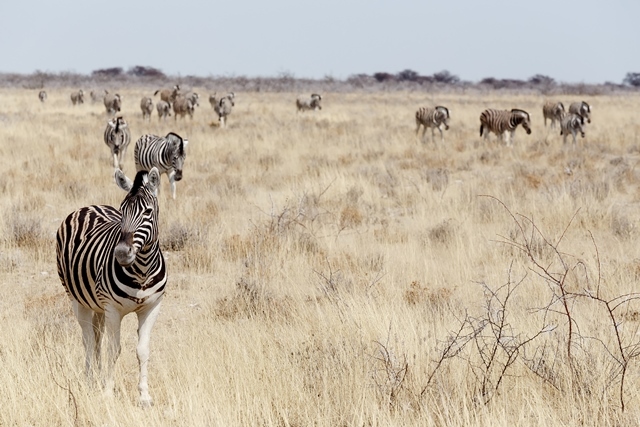 You don’t have to be Suzi Eszterhas, and the phone camera will do just fine. It’s just an adventure for you. Cook or bake something really new buying the ingredients and planning a new dish can really nurture your inner chef, or child! Cooking and baking also stimulates our senses. Go on a play date either alone or with someone but the objective is for you to play, doing something with the kids is okay so long as you get to play too. Music, listening or playing. Make it fun and uplifting. Move, dance. When we are in the creative zone we often experience a sense of timelessness that we don’t get in other areas of our life. Often as adults we are fulfilling roles of expectation, but when we create we can be who we really are more and get a sense of our inner authentic self. We also become better problem solvers. Instead of looking for outside direction or modelling we are required in creative activities to look within, which develops our confidence in solving problems. When you devote some time doing something creative for you there is a sense of caring about your well-being which gives you the message you matter. Sometimes as adults, particularly for parents or carers we can forget that we are important too – me-time is a must. If you join a group either physically or online to do with your chosen activity you also foster a sense of community and connection with like-minded folk. Some people experience blocks to the creative self. These can be due to faulty old programming. As a writer I know my own old ones and have heard other writers talk about painful throwaway comments by teachers or well-meaning parents which have acted to shut down confidence and stunt creativity. I have used EFT to overcome blocks and also to motivate myself and others to write, here is a video for writers. I see people for EFT and counselling in North Kerry, Ireland and EFT via Skype internationally. For an appointment or more information please get in touch. 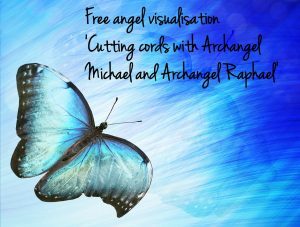 To subscribe to the newsletter and hear about courses, programmes, new blogs and videos and receive a free angel visualisation click here. Sometimes a thing that blocks us from moving forward in our lives is that people in the family have the same problem that we are struggling with. Unconsciously we feel that we might let them down or show them up by surpassing the challenge. Amazingly this can even happen when that person is not alive any more. What loyal creatures we are! If you think you might be blocked by this you are not alone. We are social animals and the first few years of life our family is everything, and everything they do is right in our minds. Of course as we grow older we can see more objectively, and as adults we can look at certain things in our family or upbringing and decide we’d rather not repeat that pattern. But how easy is it? It depends on our level of consciousness and this varies from issue to issue. If you consider the energy of behaviour patterns and that they cross over not just one generation but multiple, maybe passing down over centuries. So because we have EFT we can sort this, right? Well, if you have the intention to clear something that is a very powerful start. And the awareness that it might be a ‘family thing’ that holds you back is a great insight. Insight gives you your power back and increases your choices. How real is it that the people in your family will disown you if you overcome the problem? And if that was the case what does that even mean? Of course for deeply ingrained issues that are causing you a lot of pain I don’t recommend the DIY approach; talk to a counsellor or experienced EFT Practitioner to get started and get some support. They will also be able to see blind spots that you are unaware of. When you are ready then you can keep up the good work by yourself, to make sure you don’t fall back into old patterns. In EFT we look at the certain situations that may trigger the feeling of not wanting to let the family down by overcoming the problem and prepare you for those situations so you feel more empowered. Actually by overcoming the problem you could become a role model to others in the family, and stop that energy from seeping down into the next generation – rather like a family hero. We also look at the energy you would like to feel instead of the ‘I’m letting them down,’ ‘they’ll reject me,’ type feelings. What is the opposite of that? For some its ‘confidence,’ and ‘it’s okay to be me.’ The Positive EFT approach means we don’t have to claw around at old painful experiences, endlessly trying to unravel where it came from. We can look at how we want to feel instead and keep that as a focus. Tune in and think of a quality you would like to feel when either announcing or demonstrating to your family that you have overcome this problem. Use the word or words as a tapping exercise. I see people for counselling and EFT in North Kerry, Ireland and EFT via Skype internationally. For an appointment or more information please get in touch. 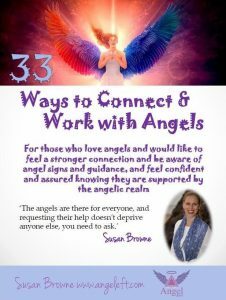 To subscribe to the newsletter and hear about courses, programmes, new blogs and videos and receive my free e-book ’33 Ways to Connect & Work with Angels’ click here. 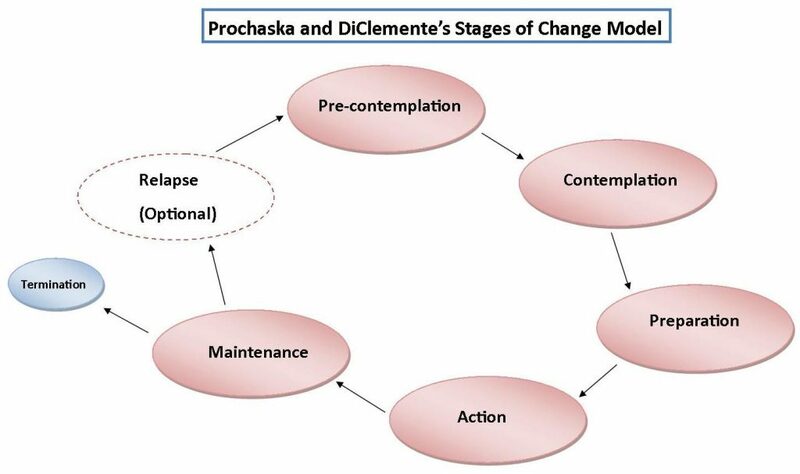 My favourite approach when dealing with addictions is the Stages of Change or Transtheoretical model identified by DiClemente and Prochaksa. In EFT and counselling it signposts for us where a person is at. When we want to change something in ourselves, we might be able to identify where we are in the cycle with it just now. Rather than just being for addictions this model is used for life changes such as getting more exercise or a pattern of unhealthy relationships. When someone is in the precontemplation stage, it’s a bit like ‘ignorance is bliss’ as they just don’t see a problem within themselves. The problem is out there somewhere. Approaches used by therapists in counselling or EFT would be to teach ways of managing stress, encourage gentle reflection on behaviours, to identify risks if this applies and to form a rapport. Contemplation Stage is where a person isn’t making any plans to change but realises there is something not right in their behaviour that is causing them pain. They experience a lot of ambivalence in this stage and it can be quite confusing. Almost like at times they rally around for evidence that the behaviour is fine, and then the next minute the opposite. I created an EFT video which might help with this type of ambivalence. Preparation Stage is a planning phase. The person wants to change and is actively making plans to change within the next month. Support focuses on looking at what will help the person, such as social supports and alternative hobbies and things to do instead of the behaviour. Foreseeing potential obstacles and exploring ways to respond to these if they should crop up. In EFT we teach how to work with cravings and the many emotions that can come up in making behaviour change such as feeling left out, stressed, frustrated, getting into old unhelpful ways of thinking. The persons skills are reinforced. Action stage is the doing part. Either taking up the exercise or giving up the substance, whatever it is. We work in EFT to re-emphasize the benefits, work with any issues of loss or obstacles that come up, reiterate support systems and personal development techniques especially tapping rounds that support and positive visualisation. Maintenance is the keeping it up stage, and can last from 6 months to several years. Therapy input is to look at how to manage frustrations and stress, reinforce personal success. Still this far on the person can experience ambivalence. People who have given up alcohol ask themselves ‘maybe after all these changes I could handle drinking just fine now.’ Sometimes looking at relapse is helpful, what it might look like, how to see it creeping up. 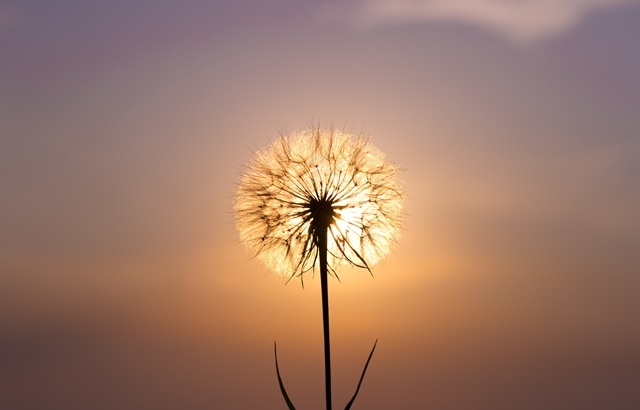 Things such as ‘stinking thinking,’ where you blame everyone else and go into a place of victimhood, rather like in the pre-contemplation stage can be a warning sign that relapse is on the horizon. Termination stage is where the person graduates from the problem, after some years, they no longer are at risk of relapsing. Some schools of thought, such as AA say that this never happens and people should never take for granted that they are at risk of slipping. Relapse is not inevitable but certainly happens to many, also referred to as recycling, and it should be emphasised even though the person starts again at pre-contemplation that all is not lost and the learnings along the way are not gone, they just need to be revived again when the person is ready. So why does EFT help in this way? Well, firstly, within seconds of tapping the amygdala comes into play, the part of the brain that deals with fight or flight, and people start to feel calmer. When we are calm everything seems better, whether it is relationship problems, self-esteem or a fear of spiders. It is for this reason I always introduce EFT to my counselling clients that are interested, for it gives them a really useful tool to use in between sessions. Next there is the energy component. The EFT supposition is that when our energy is blocked we experience symptoms of not feeling good. A good way to measure is to use Silvia Hartmann’s SUE scale, which stands for Subjective Units of Experience. Looking at this scale, where are you on it just now? Minus ten is the worst you can possibly feel, and plus ten is over the moon brilliant. Zero is just neither feeling good or bad. So if you have a fear or phobia you would like to overcome start by looking at the scale and tune in to where you are at when you think about it right now. Got a number? Ask yourself, how do I get one or two places up the scale and what would that feel like? Sometimes if you have been struggling with something for a long time it’s hard to imagine living life completely without it, although possible. So if that’s the case think about a small improvement first. So if you are so terrified of heights that you can’t go on a ladder try to imagine stepping up the first rung or two of a ladder, rather than perhaps bungee jumping off Niagara Falls. Traditionally in therapy one of the main approaches would be to go back into the past to identify where the fear came from first and try to work out of it that way. In EFT we can still do this if it is relevant. In a non-traumatising way we can tap with the aspect (former you) to clear the energy of the traumatic time. However it is not necessary to go delving into the past every time, and working with the here and now has been found just as, if not more effective. If you would like to try an EFT session to work with a fear or phobia, please get in touch.